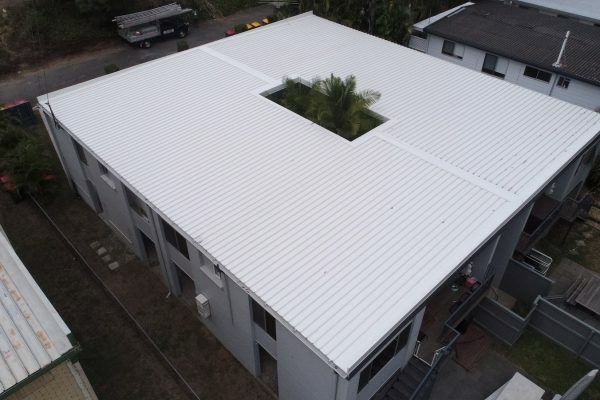 The roof at this residential unit complex sustained hail damage from one of Brisbane’s storms and under went a roof makeover by A.M.J.  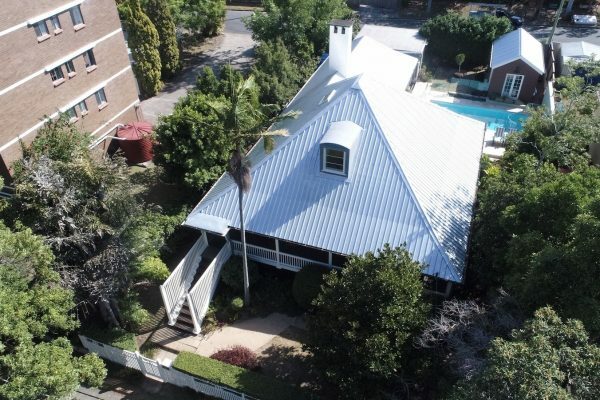 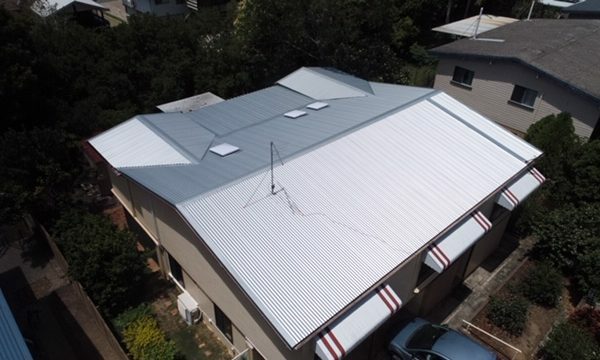 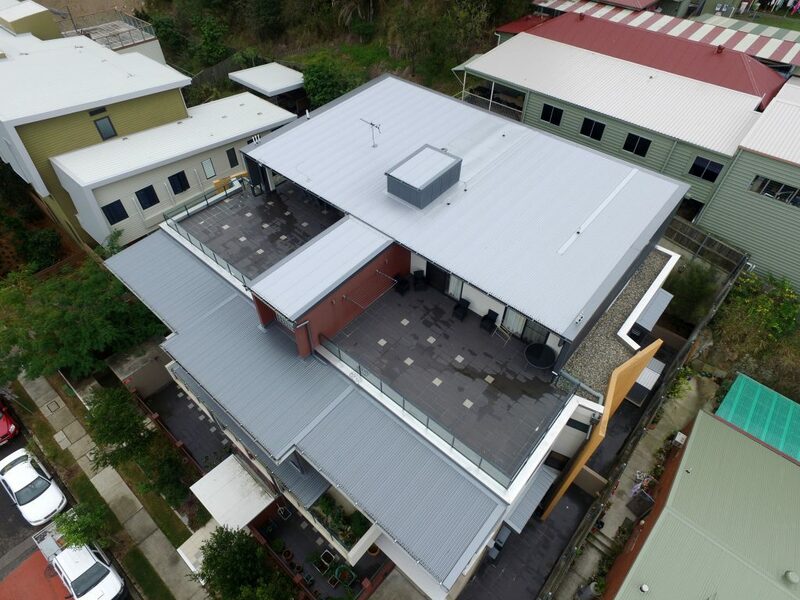 The type of sheeting that was installed was from the COLORBOND® Metallic steel range and we think it looks great – these photos do not do the new roof justice! 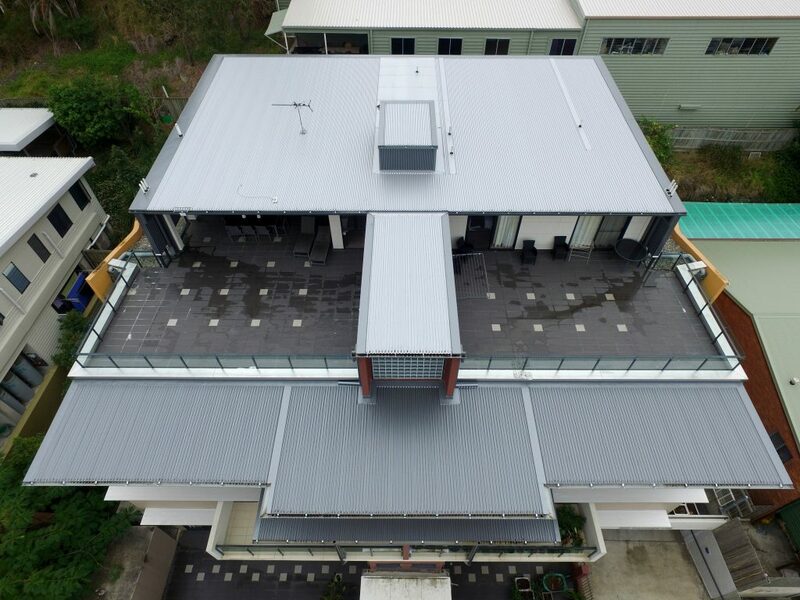 The after photos had to be taken on an overcast day because the sheets were so shiny and reflective.